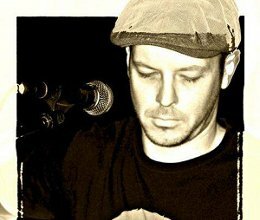 Starting the weekend off is Philip Malan who takes to Bay Harbour Market�s Brampton Sound Stage for Friday Nite Live! on May 25th. Inspired by the likes of Tony Cox and Steve Newman, Philip Malan is an acoustic guitar maestro with formal musical training who has developed a finger-picking style unique enough to call his own. He will be performing solo pieces from his up and coming album �Faithful� and will also be joined on stage later in the evening by the rest of his band. Friday also sees a visit from the lucky winners of the recently-held DStv subscriber challenge who will be treated to a weekend of awesome cultural activities in Cape Town, including a trip to the Bay Harbour Market, wine bottling at Alto Wine Estate and a night of wine tasting and glamour at the TOPS Gugulethu Wine Festival. Anthony Stroebel, co-founder of the Bay Harbour Market says; "It's fantastic to be a part of something that promotes new and exciting tourism ventures in Cape Town to a diverse crowd of warm people. Our city is full of colourful places created for all, from the bustling streets of Gugulethu to the flourishing Bay Harbour Market in Hout Bay." Entertaining audiences on Saturday May 26 is Abbott Jazz featuring acclaimed keyboard player �J�, Peter Dlodlo on sax and Dave Novis on percussion and drums. The trio will be joined by a few muso friends who will add some extra flavour as they work their way through a collection of traditional-style New Orleans jazz numbers. Ending the weekend off in style on Sunday May 27 is talented guitarist and singer Alan Evans. Alan will be playing a few sets of recognisable 60s blues, rock and folk tunes as well as a couple of originals that are sure to impress. Pink Floyd, Radiohead, Tom Waits, Bob Marley and Muddy Waters will be the order of the day.